Yay my first Games Workshop art released in the Khorne Bloodbound book. 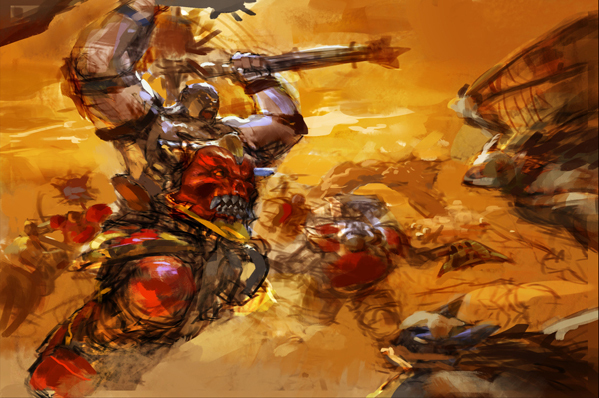 Back then I was really inspired by Adrian Smith’s artwork, who has worked for Games Workshop for quite some time. I guess that is how I went into the Warhammer rabbit hole and discovered all the madness in the realm. 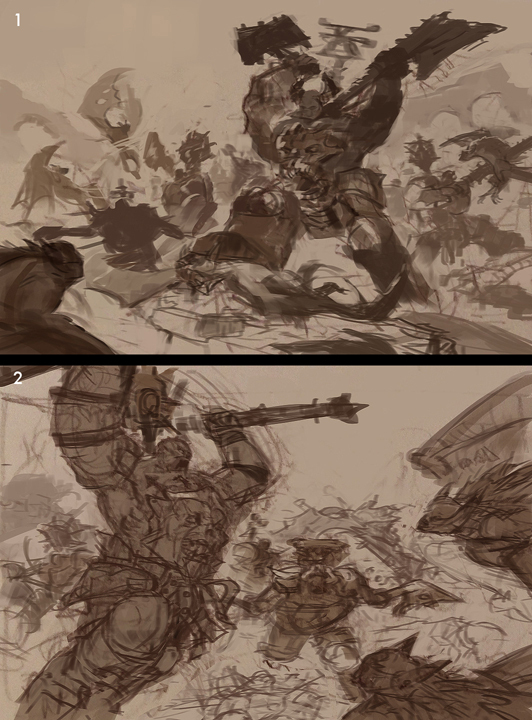 For process I had some thumbnails sketched while traveling, and did a bigger version with some value wash. They picked 1 and I did up a rough colour sketch before finishing it up.